The brand DT Spare Parts stands for automotive parts and accessories in guaranteed quality. 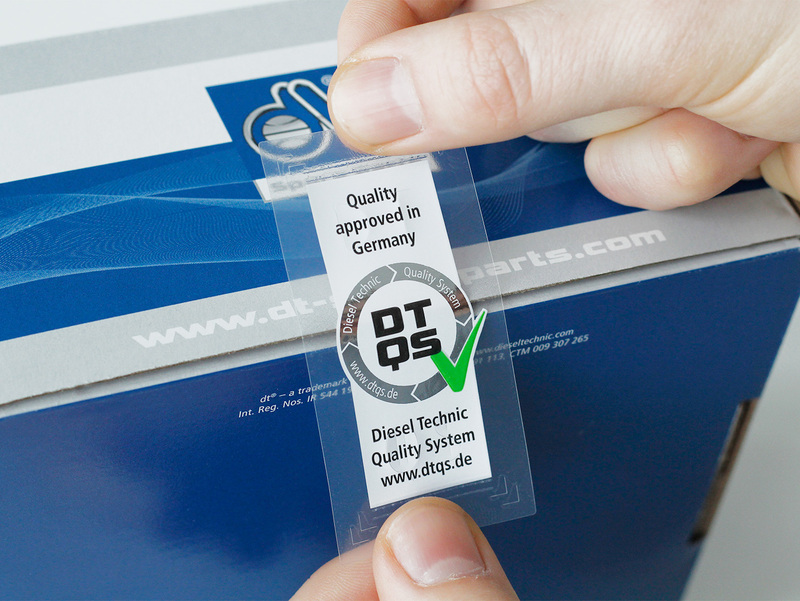 The quality tests are subject to the Diesel Technic Quality System (DTQS) and are now documented with a new quality seal, which can be found on the closure of the product packaging. Based on the all-encompassing quality management system of Diesel Technic, the DTQS ensures the reliability, safety and quality of the products. The green checkmark symbolically indicates that this DT Spare Parts product has passed the quality test based on current automotive industry guidelines and includes a worldwide, 24-month guarantee, which begins with the end user's purchase of the product. The process of product development at Diesel Technic in Germany has improved throughout decades of experience from continuous product optimization. The Diesel Technic Quality System is a self-developed solution from Diesel Technic in Germany, which is reflected in the new positioning "Global Automotive Solutions – Made in Germany". The DTQS logo on the new seal represents the Continuous Improvement Process (CIP) according to PDCA = plan, do, check, act. The result is products of guaranteed quality and satisfied customers. However, should there be a problem, the local dealers are available for the handling, who are supported by the aftersales service of Diesel Technic.